IMG_0117, originally uploaded by ultraclay!. Las Cañitas, Buenos Aires, Argentina. 2006. 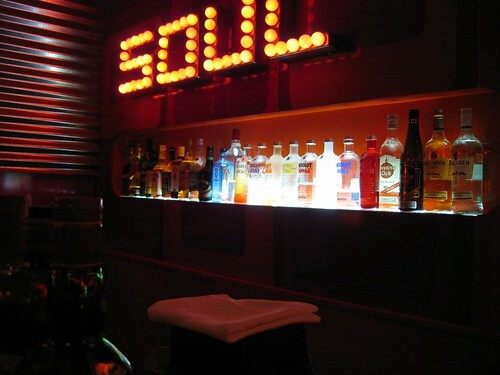 I can’t remember if we just stumbled upon Soul Bar or if we saw it in a guidebook. Either way, we had a great time here, sitting for hours listening to American soul music and snacking while Tammi tried the various cocktails and I worked my way through the local Malbecs they stocked.